La Corea del Nord schiavizza i suoi migranti: sottratto il 90% dei salari ai coreani che operano in Qatar. 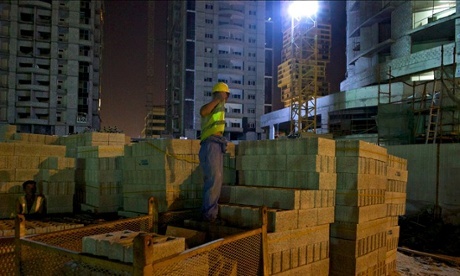 Thousands of migrant labourers from North Korea are toiling for years on construction sites in Qatar for virtually no pay – including on the vast new metropolis that is the centrepiece of the World Cup – in what may amount to “state-sponsored slavery”. A project manager of the lavish development said the workers “don’t have a single rial themselves” and “borrow money from us if they need small things like cigarettes”. Kim Joo-il, a former army officer who escaped North Korea in 2005, estimates that the Pyongyang government typically takes 70% of the total salary of workers abroad, and that after all “fees”, notionally for food and accommodation, have been paid, workers will be left with only 10% of their salary. Two employees of state-run North Korean recruitment firms operating in Qatar admitted that their workers do not receive their salaries in person, but insisted a proportion of their wages are sent back to the workers’ families in North Korea. Earlier this year, in its annual Trafficking in Persons report, the US state department criticised the treatment of foreign workers sent to earn foreign currency by the regime. It said that many North Korean Workers were subject to forced labour, their movements and communications conducted under surveillance, and that they face threats of government reprisals if they attempt to escape or complain. “Workers’ salaries are deposited into accounts controlled by the North Korean government, which keeps most of the money … workers only receive a fraction of the money paid to the North Korean government for their work,” the report said. Qatar’s treatment of its migrant labourers has come under increasing scrutiny as it gears up for the 2022 World Cup, following a Guardian report last year that revealed widespread deaths and abuse among migrant workers. In May 2014 the emirate announced a series of reforms to improve their living and working conditions.